The ROG Strix gaming arm of the ASUS brand has become one of the go-to brands within the PC gaming industry, loved for their styling and performance. The ROG Strix X470-F Gaming which we looked at in April offered brilliant value for money compared to the competition while sacrificing very little as a result of that. In today’s review, the ROG Strix B450-F Gaming is under the spotlight, the directly comparable model to which we reviewed a few months ago. The ROG Strix B450-F Gaming uses AMDs latest B450 chipset based on the AM4 socket, aiming to strike a balance between the cost effectiveness that the B450 chipset offers, as well as including features gamers expect and need. The B450-F Gaming arrives with a pair of PCIe 3.0 M.2 connectors, both operating with the x4 NVMe interface, while the uppermost connection can also utilise SATA M.2 drives. We get three full-length x16 PCIe ports, and four x1 ports. Covering the RGB base, which is important to many people in 2018, the ROG logo lights up on the CPU Power Phase cooling, while there’s backlighting on the southbridge heatsink. There’s also a pair of ASUS Aura Sync connections on the board for RGB lighting strips. On paper, the ROG Strix B450-F Gaming certainly seems promising, following in the footsteps laid down by its older brother, the ROG Strix X470-F Gaming, which we reviewed back in April with the launch of AMD’s 2nd Gen. Ryzen CPUs. How will it fare in our tests? Read on to find out. 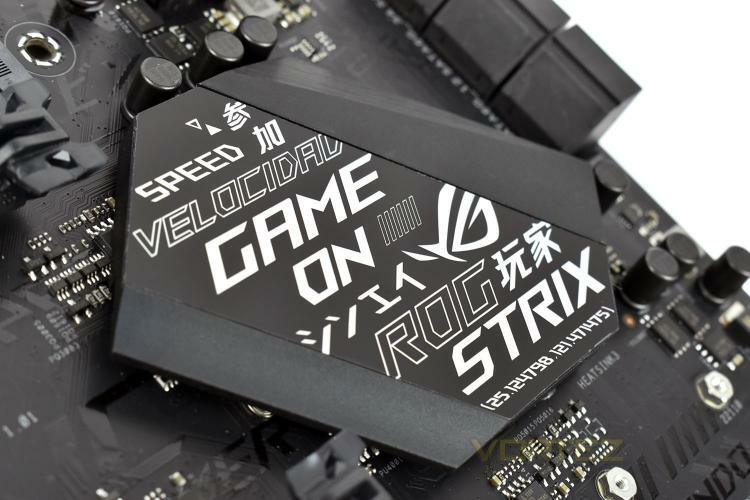 ROG Strix B450 Gaming series provides a feature set distilled from the high-end ROG Strix X470 Gaming series that gives you all the essentials for a well-balances build. With comprehensive cooling options, dual PCIe 3.0 M.2 slots and AMD StoreMI support for incredibly storage speeds, improved DDR4 memory stability and much more, ROG Strix B450 Gaming delivery the performance you need with room to focus your budget on accompanying hardware. The motherboard also offers rich customization options with lighting synchronization as well as guided performance tuning and optimization via intuitive ROG software that makes it easy for experience and fire-time system builders alike to create a gaming system that really stands out.